The term ‘Codex’ originally referred to an early version of books but in this online slot from Leander Games it’s all about a mysterious machine possibly related to invention, scientific discovery and code cracking – keep reading to find out more. Codex is a five reel slot with three rows and twenty fixed paylines; the machine on which those reels spin seems carved out of wood and powered by slowly rotating cogs in the background. The higher value symbols are three coloured shapes (they’re also the invention combo for feature purposes) of red, blue and green; 9, 10, J, Q, K and A make up the lower values. The green ‘wild’ is predictably wild and it will substitute for all others to help form winning combinations except for the Free Spins, Vault Bonus and invention combo icons. This is triggered by landing one each of the high value symbols (aka the ‘invention combo’) anywhere in view and they will simply apply a multiplier of 4x, 5x or 6x to any wins on that spin. This is triggered by landing three, four or five of the Free Spins scatter symbols anywhere in view for which you will receive 7, 10 or 12 free spins respectively. 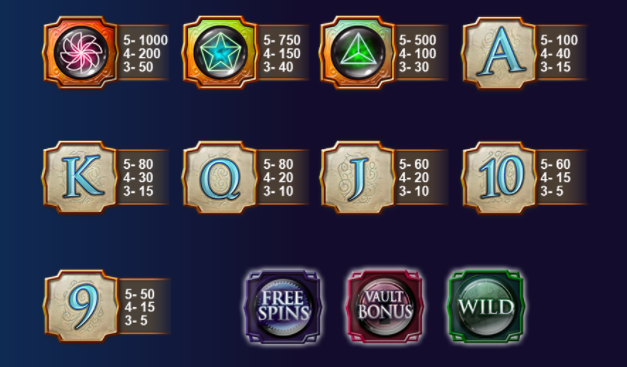 The invention combo can be triggered within this feature but there’s no Vault symbol here; unlimited extra spins can be earned by landing three more Free Spins during this round. During the spins, random symbols will become sticky wilds which will remain in place until the feature ends. Trigger this by landing two Vault bonus symbols anywhere on reels two and four; this is a bonus game in which reels on a different set must be unlocked one at a time by landing the correct combination (shown above the reels). You’ll start the bonus with one spin and each successful unlock will award one more; failing at the first reel awards 5x your total bet and failing at reels two, three or four offers the opportunity to respin by using any wins to buy back in. Unlocking all reels (and cracking the code) awards up to 195x the total bet. 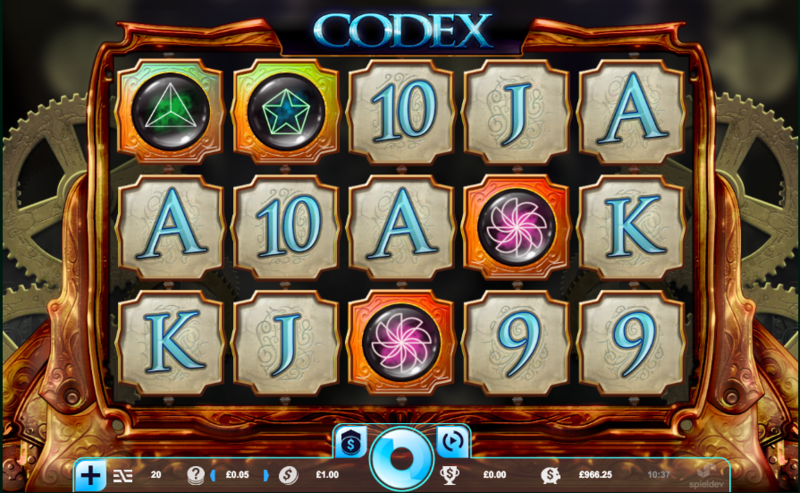 Codex is a high quality slot in which the features are well thought out; the Vault Trail can end very quickly but it’s very clever and potentially lucrative if you can crack the code. This game comes with an RTP of 95.01%.